On a lightly floured board working quickly to keep the puff pastry cold unwrap the thawed puff pastry. Refrigerate the remaining sheet of puff pastry. It will stay good for 1 week in the refrigerator. Slice the puff pasty into three parts along the folded lines. Then divide each strip in half to make 6 equal pieces. Place the 6 slices on a sheet pan lined with parchment paper and place in the oven and bake for 15 minutes. Meanwhile slice fresh ripe strawberries to measure 2 cups and place in a small bowl. Add ¼ cup of sugar to the strawberries and cover with plastic wrap and place in the refrigerator for 20-30 minutes until the sugar dissolves and forms a light glaze. Make the whip cream by combining the heavy cream, the remaining ¼ cups sugar and vanilla. Using a hand mixer whip the mixture until soft peaks form about 5 minutes. Cover with plastic wrap and place in the fridge. When the puff pastry has baked for 15 minutes remove from the oven and allow them to cool on a wire rack to room temperature. 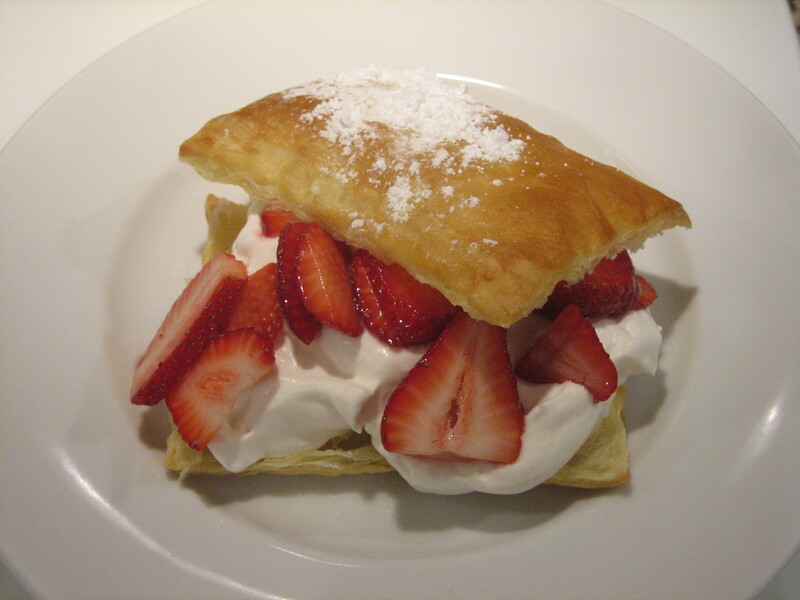 To assemble, slice the puff pasty in half, on the bottom half fill with whipped cream, then add a large spoonful of sliced glazed strawberries and place the puff pastry top on. Sprinkle with 1 tsp of confection sugar and repeat with the remaining 5 puff pastry shells. This looks like heaven! 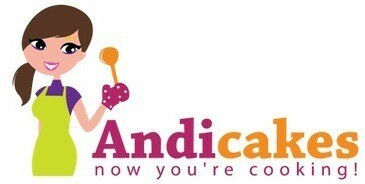 I now have only to look at your fabulous website for great recipes!! !